I was hopeful that it wouldn’t be as early as week 3. My Swedish meal was not delicious. I must admit that as I researched Swedish food, I became nervous. While Sweden has a ton to offer in culinary delights (much like America, food from other countries have made their way into the diet of the average Swedish citizen), the traditional Swedish food leaves a little to be desired. Because of Sweden’s long winters, the traditional fare noticeably lacks fresh vegetables- unless we are talking beets or turnips. Ugh. Additionally, Swedish folks liked to preserve their fish by salting and curing it. So, pickled herring is a big Swedish hit. Eek. I decided to play it somewhat safe. 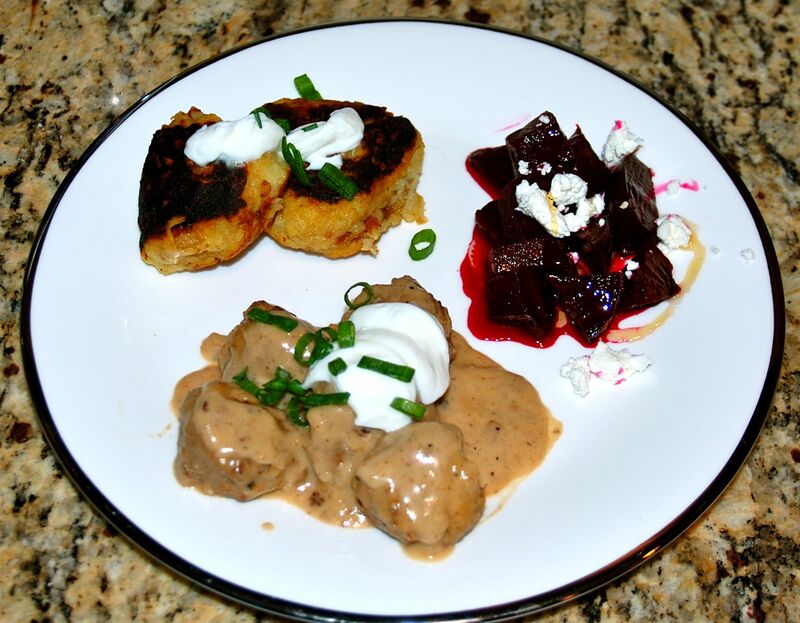 I chose to make Swedish Meatballs, Pitepalt (a stuffed potato bite) and a beet salad. I was hopeful that these dishes- following a traditional recipe (well, at least the Internet told me it was traditional)- would be delicious. And at the end of it all, I would say it was just ok. The Internet wasn’t lying- Swedish food is kind of bland. The hit of the night was the beet salad, for sure. I love me some beets. I know they are a polarizing ingredient, but I encourage you to try them again if you haven’t in a long time. They are hearty and earthy and pretty in pink! 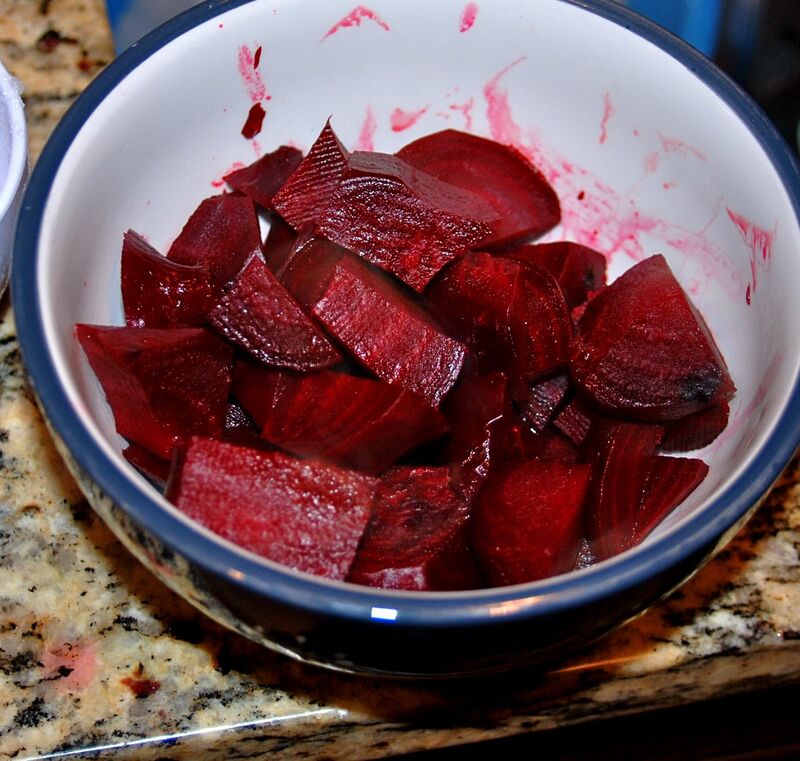 I think that a roasted sliced beet is the prettiest vegetable out there. Tis true. 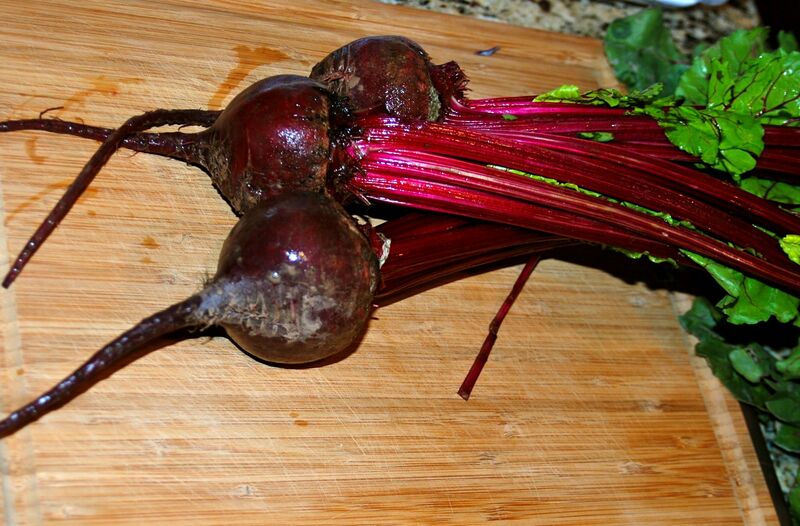 This is what beets look like when you buy them. To roast them, you lob of the greens. 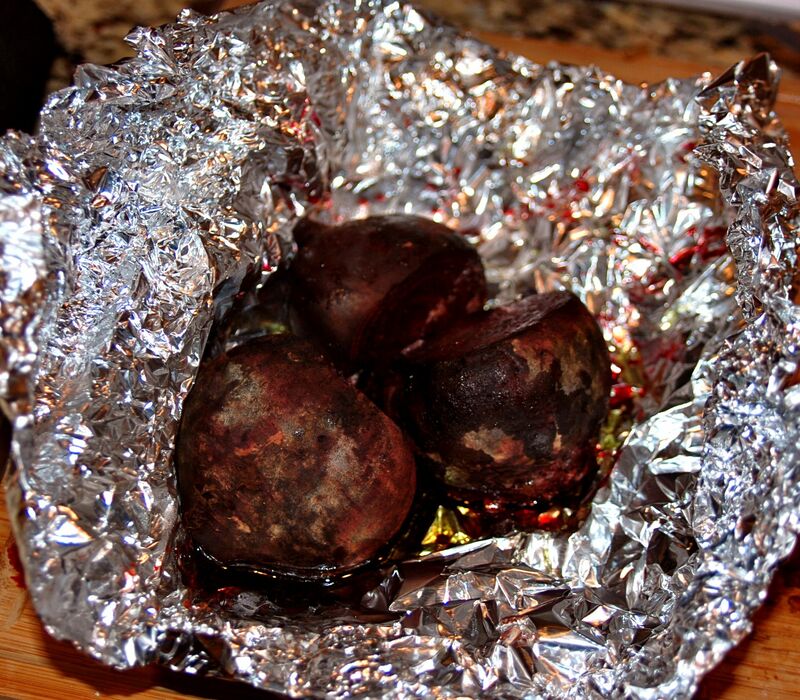 Then you put them in a little foil pouch covered in olive oil, salt and pepper. 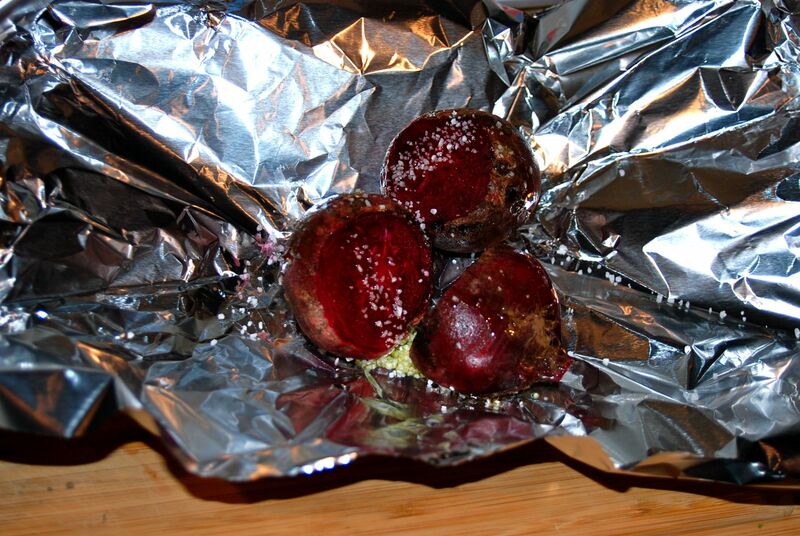 Then you roast them in a 400 degree oven for about 20 min (depends on the size of the beet) until they are tender. Their peels slip right off. The beets turn your hands the loveliest shade of pink. And then you slice them up. I added a very simple vinaigrette- olive oil, vinegar, salt and pepper- and tossed in a bit of goat cheese. I really felt like the Pitepalt held seriously potential. 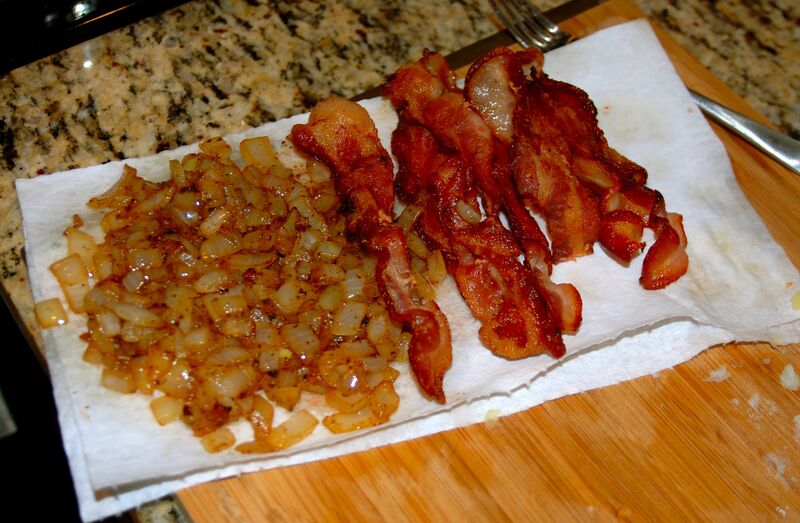 Fried Bacon and Sauteed Onions! I was previously of the opinion that food was always good if these ingredients were involved. 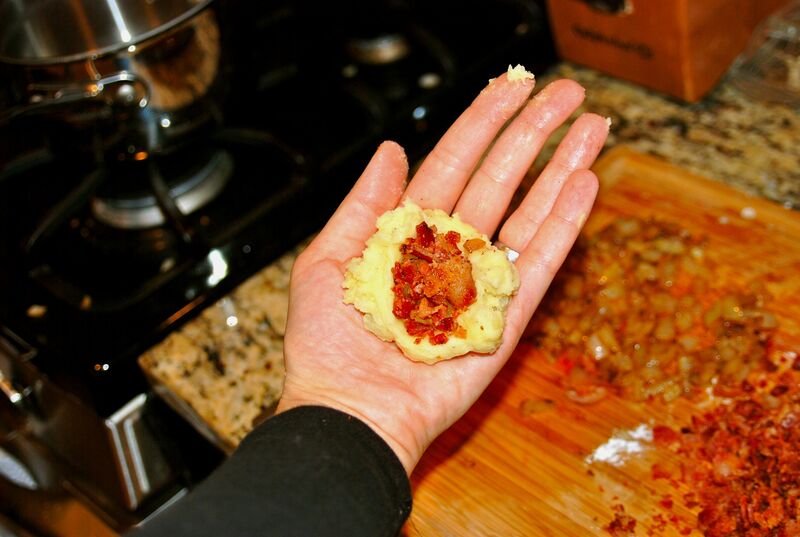 To construct the Pitepalt (I have no idea how to correctly pronounce this word, but in my head it is “pity-palt”, and I like repeating it over and over- something is wrong with me), you take whipped potatoes and stuff them with the bacon and onion mixture. 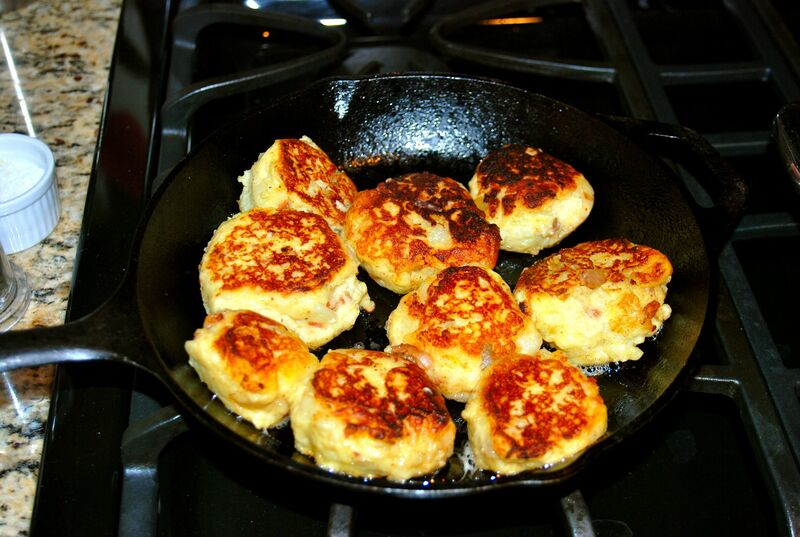 After stuffed- you pan fry them. 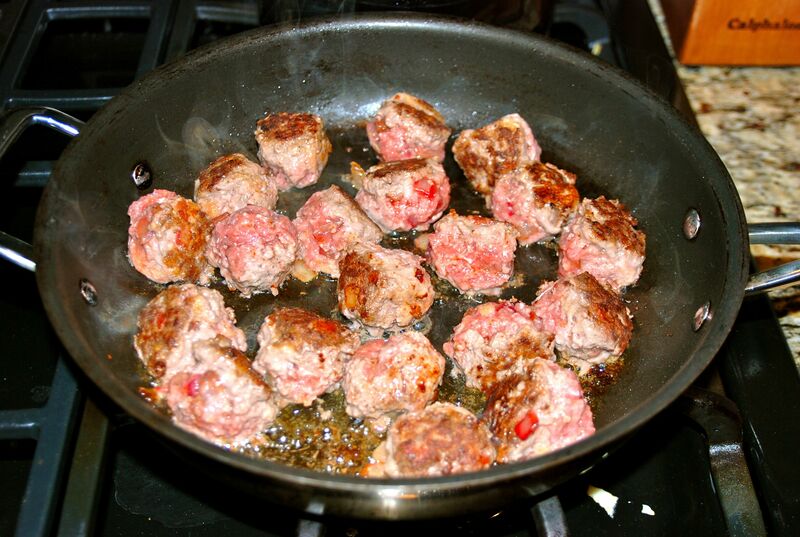 To go along with the balls of potato, I made balls of meat. While I was rolling my meatballs, I had a feeling that I wasn’t going to dig them. They were made up of meat, egg, white bread, a little salt and pepper, and some onion. That seemed fairly underseasoned to me, and guess what? I was right. Here is my weird dark picture of the meal of the balls- potato balls, Swedish meat balls and beet salad. I feel like I did ya wrong. In an effort to right that wrong, here are some things I love about Sweden. Cooking Swedish food brought Ben to our home and kitchen. 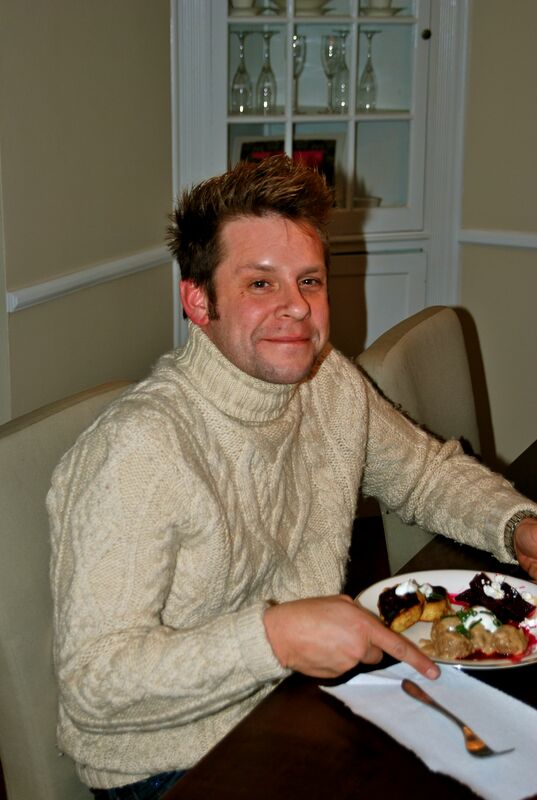 You haven’t lived until you have spent time with Ben- his stories are outrageous and, from what I can tell… true. I work directly across the street from an Ikea. While I don’t buy much of their stuff, they do provide a lovely lunch time walking track for me during rainy or snowy lunch hours. 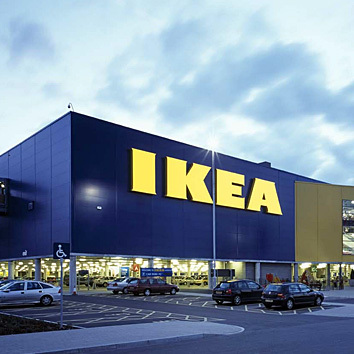 For those of you that have visited an Ikea, you know that is a nice long leisurely walk! 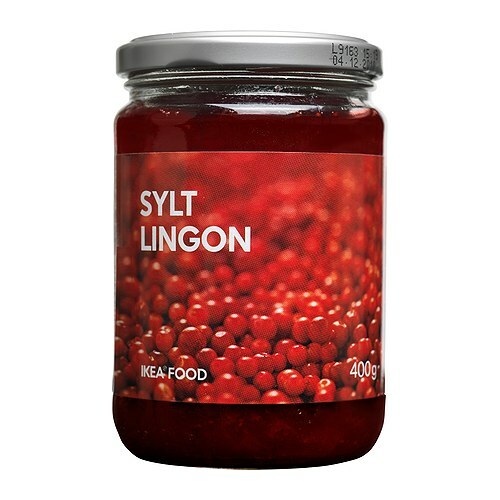 I did pop into Ikea to buy this- Lingonberry Jam. Have you had it? 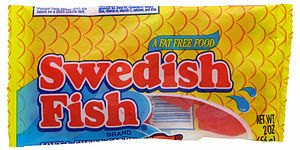 It is authentically Swedish, and IT IS NOT BLAND!! It kind of tastes like a cross between cranberry sauce and raspberry jam. It is tart and sweet, and I love it. Like a lot. I should have popped some of this onto our Swedish dinner plates, because that is how the Swedes roll. Not too shabby Sweden. 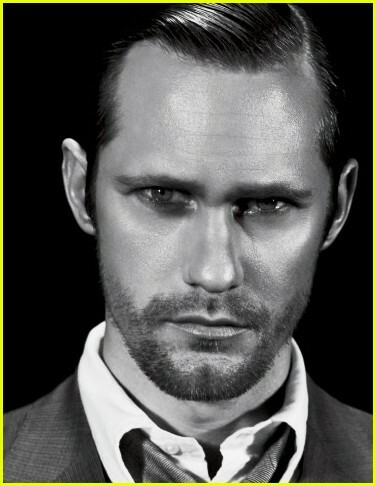 Not too shabby at all. If for some strange reason you would like any of the recipes above, you can find them here.